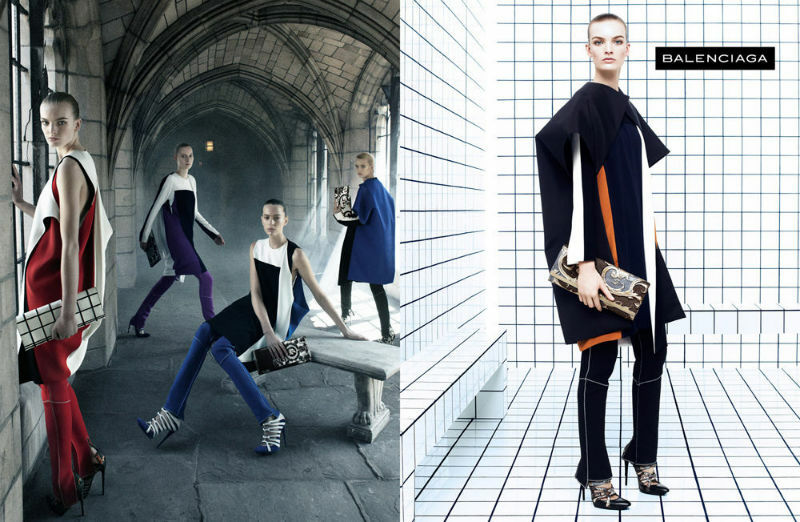 Model veterans Liya Kebede and Liisa Winkler join forces with newer faces Julia Nobis, Carla Gebhart, Juliane Grüner and Milou Van Groesen for Balenciaga's Fall/Winter 2011 campaign. 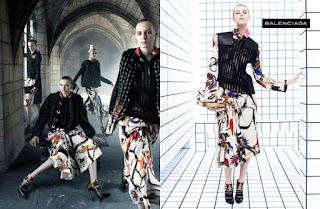 Steven Meisel captures each model individually in a futuristic-looking black and white tiled change room and then collectively as the models traipse up and down the arched hallways of an old-world cathedral. The combination of established and newer faces is a master stroke of casting genius very much in sync with designer Nicholas Ghesquiere's futuristic vision with references to the past.